The granting of rights to the use of water resources is one of six instruments of the National Water Resources Policy, established in section III, article 5 of the Federal Law No. 9,433, of January 8th, 1997. This instrument aims to ensure quantitative and qualitative control of water use and the effective exercise of rights of acess to water resources. In accordance with section IV, article 4 of Federal Law No.9,984, of June 17th, 2000, under which the National Water Agency (ANA) grant, through authorization (water right), the right to use water resources in water bodies under federal jurisdiction, as well as issuing grants preventive. ANA has also the responsibility of issuing the reserve water availability for hydroelectric purposes and its subsequent conversion into granting of rights to the use of water resources. In compliance with article 8 of the Law No. 9.984/00, ANA gives publicity to applications for granting and their authorizations through systematic publication of requests in Official Gazettes of the Union and of the State and the publication of extracts of Resolutions Grant (commitments) in the Official Gazette. III - uses to capture maximum instantaneous flow rates below 1.0 L/s, when don't exist other decision of the National Council of Water Resources (CNRH). The hydropower plants with installed capacity exceeding 1MW are subject to Water Availability Reserve Declaration (DRDH), issued by ANA, in the case of rivers of the Union domain, and by Brazilian state administration, in the case of Brazilian states domain rivers. The Declaration is issued in favor of the National Electric Energy Agency (ANEEL) prior to the concession or authorization of the potential of the hydropower use - the purpose is to reserve the availability of the amount of water required for hydropower use. After the concession or authorization of the use of hydropower potential, DRDH is converted into water use right in favor of the hydropower plant owner. The Water Infrastructure Works Sustainability Certificate (CERTOH) is issued by ANA for construction of water infrastructure works for raw water storage or adduction, implanted of funded (all or part of it) with financial resources from Federal Government, whose values are equal or higher than R$ 10 million. In the analysis of water infrastructure works, the Agency observes the sustainability criteria, in operational and hydric perspectives, which means that the implantation of the water infrastructure works contribute to increase the water availability in the watershed, and the continuity of water infrastructure operation must be assured. The National System of Water Resources Registration (CNARH) constitutes one of the stages of regularization process for water resources, surface or underground water use, because of this the registration can be known with greater details the demands for use in a particular watershed. Thus, the registration is the first step in the process of regularization of uses and can be performed directly on the System CNARH. The Registration is supplied by the user of water or during the collective registration process for those who use the resource. Some of the main instruments of the resources managements, such as grants and the collection and the supervision of use are based on land registration. The framework of water agencies and the planning also use the instrument as an important source of information. The attributions of the Agency were later amended in 2010 ( Law No. 12.334/2010, article 21) and a new three duties were established: to organize the National Dam Safety Information System (SNISB), to promote coordination among regulatory state agencies of dams and to coordinate the elaboration of the Report on Dam Safety and submit it annually to the National Council of Water Resources (CNRH). In order to fulfill its mission of safeguarding the multiple uses of water, as well as planning and promoting actions to prevent and mitigate the effects of droughts and floods, the National Water Agency proposes the operational conditions of reservoirs by public and private agents. Every day, ANA monitors and analyzes the situation of the main reservoirs in the country, observing their operational conditions and their operational restrictions, such as the maximum flow that can be released by a reservoir and the water storage levels. ANA also produces daily, fortnightly and monthly Newsletters that report information and analysis of the situation of such reservoirs. Whenever it is necessary, special reports are published. 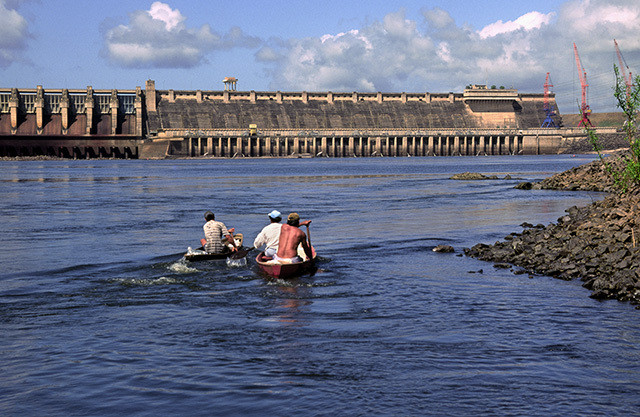 Among the Newsletters available on the Agency’s web site, the highlights are: São Francisco river, Paraíba do Sul river Hydraulic System, Cantareira System, National Interconnected System and the main Northeastern reservoirs. ANA has always worked in the management of the public good, water, and the technical instruments used in this regulation have been mainly the granting water rights and to supervision the use of water resources. The attributions of the Agency were later amended in 2009 (Law No. 12.058/2009) and new duties were established: to regulate the irrigation utilities, under concession, and raw water supply. Considering these new duties, the Agency has the job to regulate and inspect Federal water resources, irrigation utilities under concession and the raw water supply. ANA is also responsible for creating regulations for the provision of such services, as well as setting efficiency standards and the establishment of tariff, when applicable, and management and auditing of all aspects of their concession agreements. Considering this assignment, ANA should regulate the new Federal Governments projects of Public Private Partnership (PPP) that deal with irrigation utilities projects. The Agency will also regulate the São Francisco Inter Basin Water Transfer Project (PISF), which is a development of water infrastructure consisting of two main Canals (North and East) and aims to integrate the São Francisco river basins to the semi-arid temporary rivers. The irrigation utilities and raw water supply is a new subject, not only for the ANA, but for Brazil as a whole. There is no authority in the country to regulate raw water supply like in São Francisco Inter Basin Water Transfer Project. 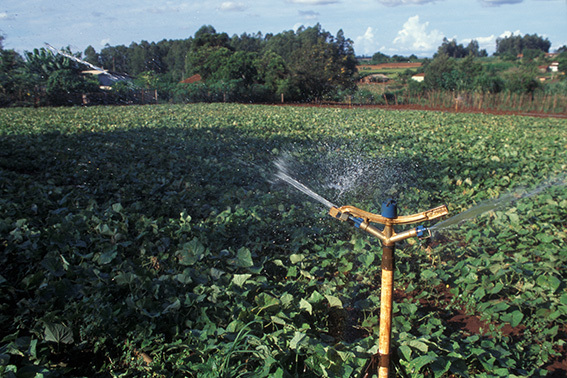 There are even less contracts for public irrigation perimeters in Brazil. It's up to the ANA, as the regulatory authority to establish and monitor the quality of service delivery, to determine fair prices for their provision, as well as to monitor economic, financial and accounting, both of the irrigation utilities and the Operator of PISF. The inspection carried out by ANA consisting of three types of activities: supervision of uses of water; monitoring of safety of dams; and supervision of federal public services of adduction of raw water and granting irrigation scheme. The inspection of water resources use is an activity of inspecting and controlling the uses of water resources in water bodies of the Union and aims to ensure the multiple uses of water, in accordance with the conditions laid down in the act of granting the rights of use. With preventive and repressive regime, the supervision is an activity whose primary objective is the guidance to users of water on the legal requirements and procedures for the settlement, in order to prevent unlawful acts. However, the activity also presents repressive character, with the adoption of sanctions provided for in the legislation.